What is The Story Behind Us? Keep Taxis Alive Organization (KeepTaxisAlive.Org) was founded in September of 2016 by me, Ben Alawi, a professional Chicago taxi driver since 2001. I founded KeepTaxisAlive.Org to be the home and the voice for taxi drivers, not just in Chicago, but also all around the world. .
Our goal is to empower taxi drivers, and to keep the taxi industry alive worldwide. We have provided a platform in KeepTaxisAlive.Org for both taxi drivers and taxi customers. They can share ideas on how to improve the taxi industry, and discuss its problems and concerns, which can help us as a community, and help the industry as a whole. Whether you are a taxi driver or a taxi customer, you may always rely on us to bring you the most recent news stories related to the taxi industry worldwide. We will also keep you up to date on any upcoming taxi drivers’ events in your town and across the globe. 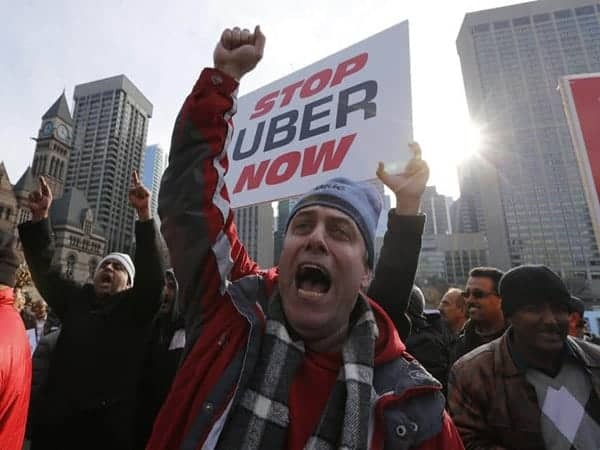 KeepTaxisAlive.Org is committed to speaking up on behalf of struggling taxi drivers, who struggle everyday against the unjust and unfair business practices of UBER and other major ride share companies. These ride share companies only care about one thing, that is enriching their own investors and bottom line at any cost. They do not care if their twisted actions result in the death of the taxi industry and the loss of millions of honest hard working taxi drivers to their livelihood and only source of income. A shameful business strategy they have followed all over the world, wherever they operate and compete against the taxi industry unfairly.